With technology brands slowly starting to encroach upon the territory of traditional timepiece makers with their fancy schmancy smartwatches, the watermakers are slowly starting to feel the heat. But while traditional watches are far away from extinction right now, that doesn’t mean watchmakers aren’t worried or not taking any steps to avoid becoming irrelevant. 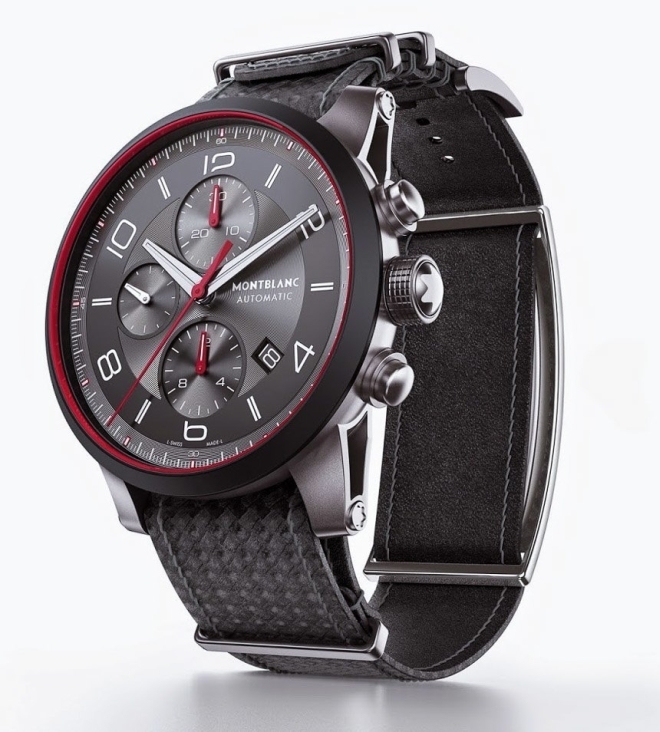 Montblanc has announced a new Timewalker Urban Speed collection of watches that will have a special addition to the bottom of the strap. 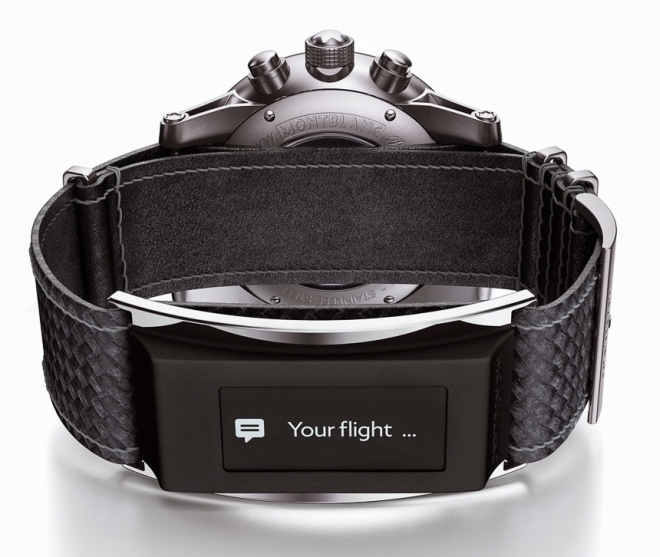 An optional display called e-Strap can be purchased with the watch that turns it into sort of a smartwatch. The e-Strap is a small module that fits within the belt and comes in DLC (Diamond Like Carbon) coated steel or gray steel. There will be size and color options as well. The small 128×36 OLED touchscreen will display notifications from your phone after pairing over Bluetooth, along with tracking your activity. This isn’t exactly Android Wear but relies on the company’s own app to work with the phone. The e-Strap is said to last for five days on a single charge. The watch pictured above (ref. 112604) is a Swiss ETA Valjoux 7750 automatic movement chronograph with leather band that has a carbon fiber texture that Montblanc calls “Extreme Montblanc Leather” and is produced in Florence, Italy.This particular model with the e-Strap module will cost you 4,690 Euros, with the module itself costing 250 Euros separately. While not the most elegant solution, it attempts to strike a good balance between wanting a traditional watch and having some smartwatch functionality as well.